Bertie and I were on the blower the other day discussing a previous post on famous shopping arcades in Europe. Upshot was that I'd been a blithering dunce for not remembering The Block Arcade in Melbourne. Bertie swiftly dispatched the facts on The Block to set things straight and highlight the general pleasantness of Melbourne living — Melbourne being the most liveable city on the planet by most accounts. Tweedy's Request: By the way, fellows, if you know of a pleasant bolt-hole we'd enjoy in your neck of the woods, do pass on the gen.
I’d been meaning to pen a reply to your recent post on Tea Rooms when your post on Les Galeries Royales Saint-Hubert appeared in my in-tray. You refer to two other Great Arcades of the World: the Burlington Arcade and the Galleria Vittorio Emmanuele II. And then the gas-lamp went off my in my head. 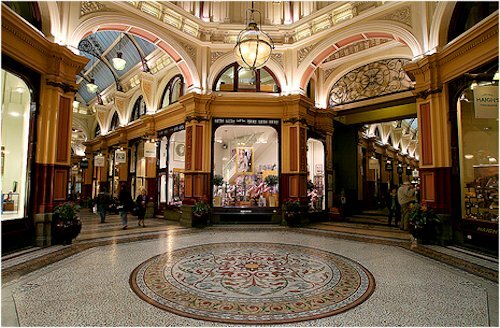 I know of a charming Arcade in Melbourne; its architect modelled it on the Galleria Vittorio; it has historic Tea Rooms; the aforesaid tea rooms are currently expanding; and – best of all — the Arcade is extremely chap friendly. 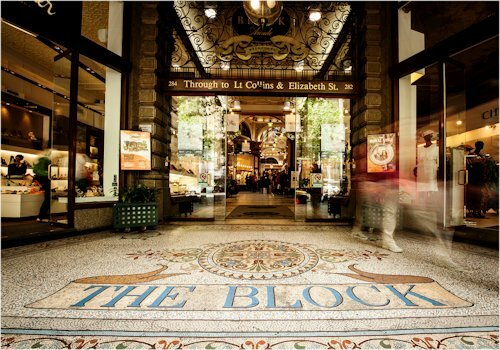 The Block Arcade in Collins Street, Melbourne, was built in the French Renaissance style between 1890 and 1893. The odd name comes from the notion of the Beau Monde of Nineteenth Century Melbourne ‘doing the Block’. Melburnians modestly compare Collins Street to Parisian Boulevards. We even have a Paris End of Collins Street which, presumably, the French repay the compliment with a Melbourne section to their Place Vendôme. On entering the Block, the first thing I hope you'll notice is the scent of exotic spices coming from Gewürzhaus, an Australian Herb & Spice Merchant with a touch of Mitteleuropa. While they also stock spices from around the world, it's hard to resist their Bavarian Roast Chicken Spice or their Apple Cake Spice. If you're lucky you might be able to get a table at the Hopetoun Team Rooms. I say lucky because it's thriving and very hard to get a table at lunchtime. But in a good sign for tea drinkers, they're expanding into new digs on the lower ground floor of the Arcade. So press your nose against the window and admire the Art Nouveau wallpaper (& their sticky buns and cakes). You might also be able to find Welsh Rarebit on the menu - a rarity these days. Now, I did promise some shopping so pop along to MCM Studio. 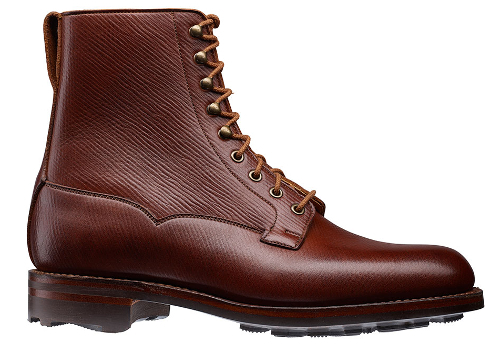 It has superb window displays of Italian shirts, ties, scarves and handkerchiefs. Tim has been there for 18 years and explained to me that not all Melbourne men go for the British look; many prefer the Italian look (I too was shocked!) But being catholic in my tastes, I’d suggest having a look at their ties and handkerchiefs, many of which come in interesting fabrics including cashmere and wool. There's even a souvenir for Mrs T: a fine 100% silk scarf by local designer Andrea Ward with a pattern based on the mosaic tiles of the Arcade. 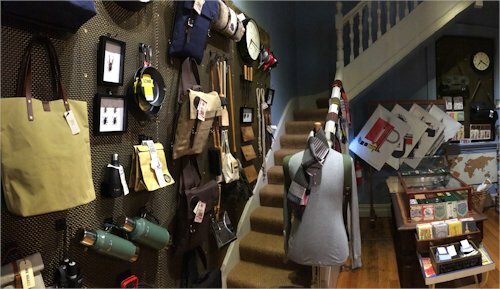 John Wares opened the shop in 2013 and I’ve briefed him on People Like Us. In fact, in preparation for your vist, he’s put a tweed picnic rug in the window from Tweedmill in Wales. At the back of the Block, you’ll see a covered laneway. 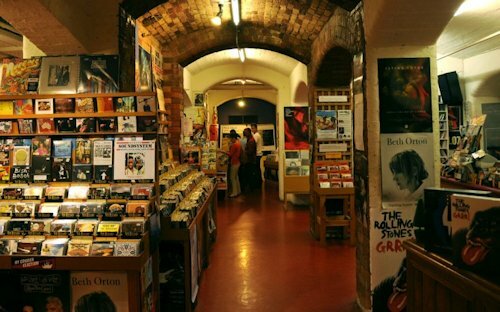 Take the stairs down to find Basement Discs, a specialist music shop. Now duck your head because you’re Going Underground, and I hope you’ll get your second sensory treat for the day: a hint of rose geranium from their oil burner. It’s not very rock and roll but it’s wonderfully inviting. Now ask for Pat - he’s expecting you. His recommendations are always reliable and he immediately understood your concept of Music to Button a Cardigan By. In fact, he’s got a boxed set of the Go-Betweens ready for your playlist. You haven't even yet seen Mr Adriano Carbone, tailor, working away in his window or had a pint downstairs at the Charles Dickens or even the visited the antique watch dealer.